It is difficult to travel anywhere without encountering the unparalleled art of Romero Britto. Through his use of vibrant colors and eye-catching patterns, the artist spreads a message of optimism and love around the globe. 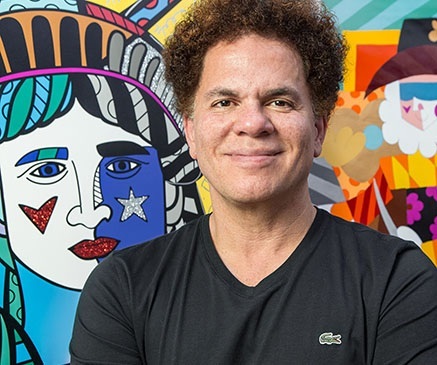 Britto’s unique fusion of Pop Art and Cubism has been commissioned by the Super Bowl, the Olympics, the World Cup, and Disney, and hangs in galleries and museums around the world.